Hello and Welcome to my Betrayal Mastercrafting service, where you can confirm that I'm trustworthy! 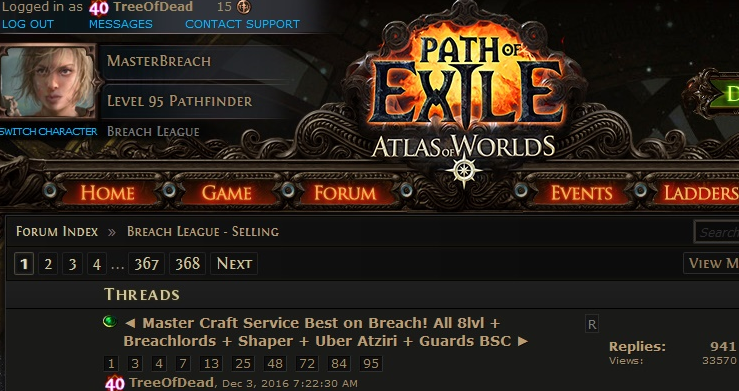 Best Betrayal Master Craft Service Betrayal SC! 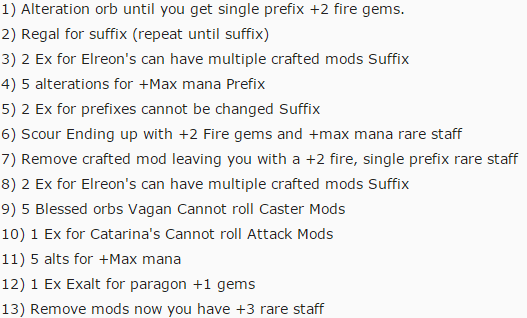 You need Provide cost mods and Bring the materials required for craft + FEE (+price) for each time craft every time ! IF YOU NEED LINK EACH TIME = PAY x CHAOS MORE! Every fee for 1 craft every time, if you need reroll many times you pay for every craft each time! 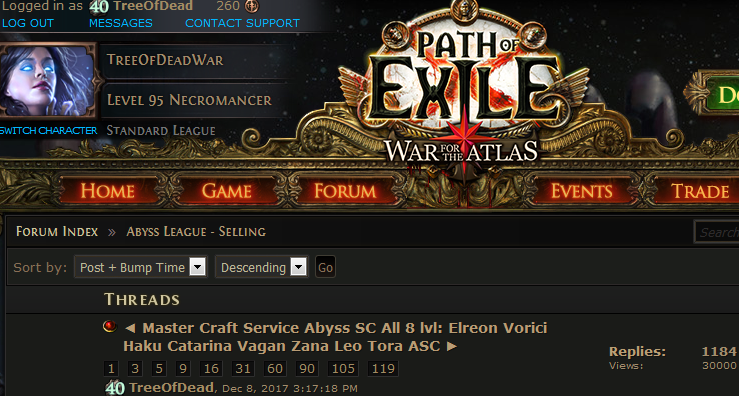 All Craft in Betrayal League, ask for Master Craft Service in Betrayal SC League! Please leave vouch in this thread after craft, if not bother to you and possible, thank you. Please note that this method is more RNG based than the Haku method. On average it takes about 30 to 200 regals but it could also be more depending on your luck. 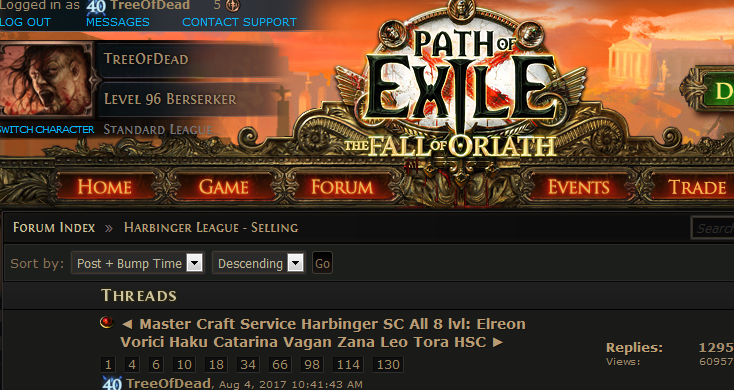 Depending on the ratio of exalts, the Haku way might be cheaper. http://pathofexile.gamepedia.com/Masters General PoE Wiki Masters! Information about Master Benching Costs and possible crafted stats. Vouches With The Item Crafted Posted Here Is Much Appreciated After Crafts. Thanks In Advance and always welcome in in Betrayal Master Craft Service Betrayal SC! Important notes: Please read spoiler! Sometimes I won't answer right away, that means I'm in a map and it's dangerous to type or Very busy with crafting to someone else, wait a little bit and reply again in 3-5 min and I will answer you. Please pm me again if no reply or unignore me. If it's been at least 10 minutes without a reply, feel free to PM me again, as sometimes I have too many things going on at once and might of forgotten about your message or missed it zoning instances. 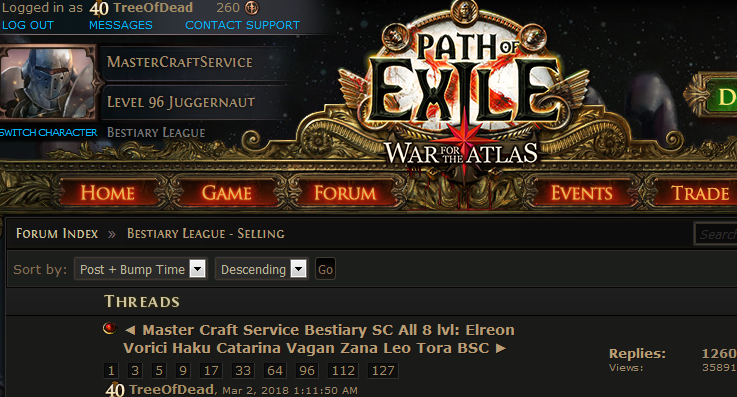 Sorry for waiting, you can whisper me again and i will craft for you in Betrayal league. Know exactly what you want crafted in Betrayal SC. Correct currency for crafting costs is required. 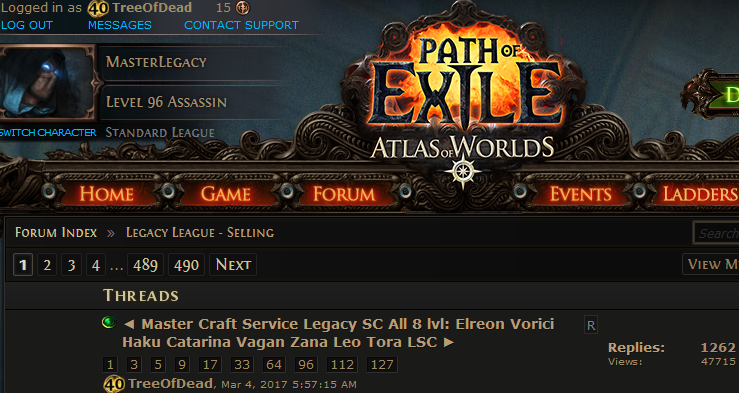 PM you want crafting service and in which league (Betrayal SC league craft service). Trade your item, crafting costs at the same time. 6 - Add your commentary (any words about service) and Press "Submit". Shorter version: How to link an item: You must log in on site, Open my thread 2150326, Click reply, then Press your character icon in the upper left corner(LvL and Class). This will open an overlay from where you can link items with a simple left click on it. 1. 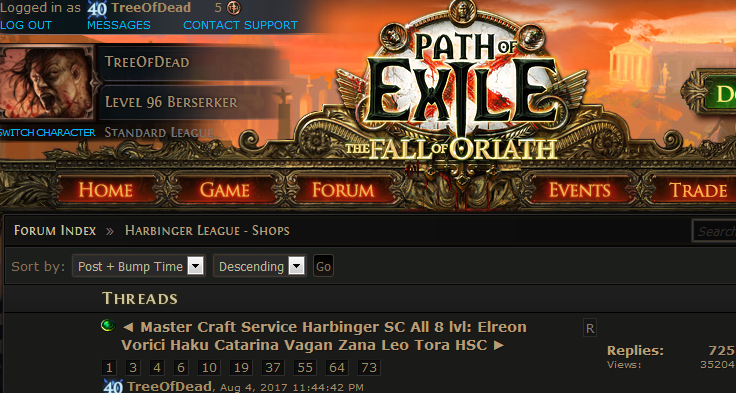 Click your character at the top of the page (where your class and level)! You may help if you need earlier/faster master craft by trading me any Veiled items (any gear with Veil mod) to unVeil it and i will trade you back that item after i Veil it, thank you! 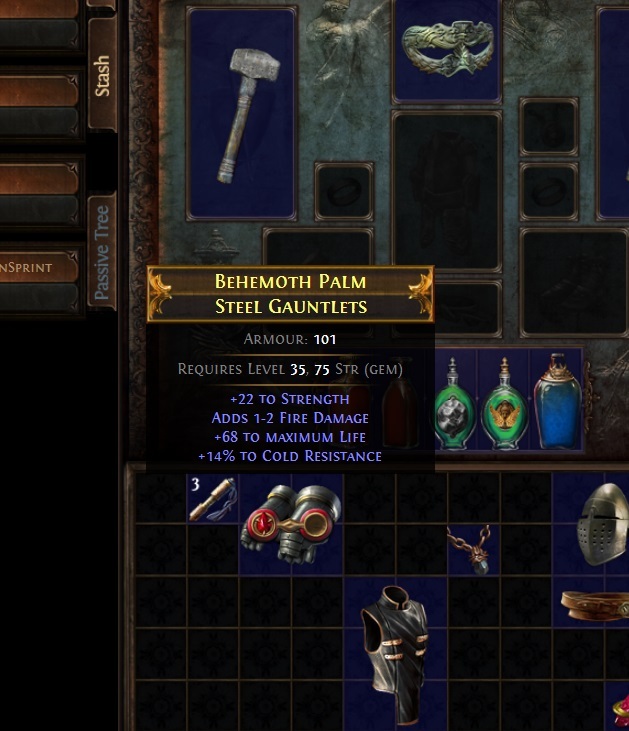 - Nemesis mod : In map you can chance a headhunter leather belt in Incursion league craft! - Perandus mod : Perandus coffer , meet cadiro and loot Perandus coins ! In map you can have Perandus troves for challenges and perandus map for completion in Incursion league craft! INCURSION Master Craft +3 Bow/+3 Fire lvl LeveLs, Craft +3 Fire/Chaos/Lightning/Cold Staff (Staves and Bows) +3 lvls LeveL in INCURSION SC league. Available now and any time! 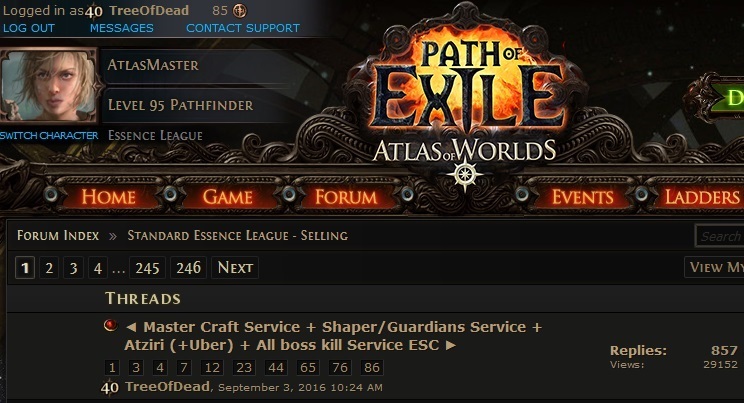 Thanks In Advance and always welcome in in Incursion Master Craft Service Incursion SC! You may help if you need earlier/faster master craft by inviting me to any wild (any random area level) masters you meet (find) and share gracious master, master seeks help prophecies to speed up lvls and i can faster craft for you on start league - thank you and appreciated for your help! Quick and easy craft on my bow.